Die-hard fans of Gladiator and 300 would do well to stay away from director Brett Ratner’s Hercules, a trashy swords-and-sandals saga based on the brawny titular hero of Greek mythology. Ratner possesses neither Ridley Scott’s refined storytelling skills, nor Zack Snyder’s sharp sense of imagery, but like Bollywood’s very own Rohit Shetty, he knows how to deliver a masala movie with clap-trap lines and a hero worth rooting for.Packed with not-too-bad 3D effects – arrows whizzing out of the screen, dangerous creatures lunging at you – and unapologetically embracing its B-movie ambitions, Hercules is watchable and occasionally good fun too. I’m going with two-and-a-half out of five. Just don’t go in with Gladiator-level expectations. 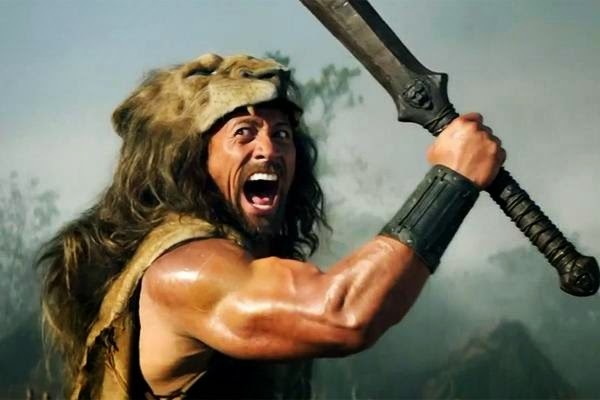 Brett Ratner has put much effort into removing Dwayne Johnson’s Hercules from the lofty pedestals of immortality and infallibility and placing him on decidedly mortal ground. Sure, Hercules’ biceps can rival a truck tyre in girth. But this mythological marauder now also feels pain on both physical and emotional levels. When Johnson isn’t punching and slashing, he conveys the softer emotions rather well. His pals though, whether by design or not, don’t leave an impact. Fiennes’ Eurystheus deserved more screen time. The climax could’ve been better and while the battles scenes aren’t as epic as *Gladiator*, the film, along with its sprinkling of tongue-in-cheek lines, makes for a fun watch. Hercules flows like series of bell curves — it starts off as ridiculous, becomes interesting, goes back to being ridiculous — but when it clicks, it really clicks. While all the fighting and the bloodshed certainly forms an integral part of the film, it is really interesting to watch the planning of the battle — an aspect a lot of films which depict war, leave out.Hercules keeps you guessing until the end whether the Gods really do play a part in our heroes’ collective destinies or whether they craft their own. You know the answer already, of course, but you watch any way.Dwayne Johnson charms the camera. Hercules would be little more than a series of wars and body pile-ups strung together — even if Ratner does manage to surprise once in a while. Johnson soldiers on in this role, tailor-made for him, even doing justice to his lion mask. And Ratner impresses in how he mounts some of the war set pieces. However, having been beaten to this space by 300 and others before, this film is more Rock than Hercules — clearly earthling-aimed than godly. Hercules is a good film compared to the other one that was inflicted on us. Dwayne Johnson does his part. Massive pecs are not the only things that make their presence felt. But the actors who shone are Ian Mcshane, Ingrid Bolsø Berdal and Aksel Hennie. They are good in their parts; Mcshane adds laconic wit to the proceedings and Berdal is wonderful as a beautiful, but deadly Amazon archer. Aksel Hennie is good, which is quite surprising considering the lines that he gets. His reach as an actor makes him believable. Brett Ratner delivers a decent epic where the action doesn’t stop for a minute. A movie where you can see a true test of character. Everything, from screenplay to production design, seems half-baked. It’s as though everyone began the film enthusiastically and then lost interest along the way. One fight merges with the next and the final reveal is a rare combination of predictable and senseless. While Hercules isn’t unwatchable, it is disappointing because an action spectacle like this one has no business being boring. You’re better off imagining what adventures could await Hercules and Singham if they did actually join biceps.